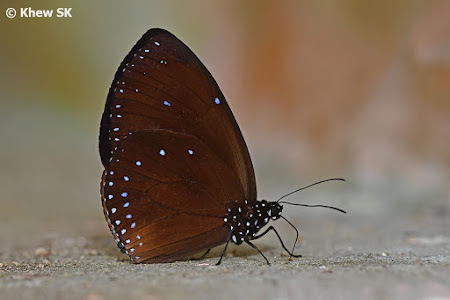 I was reading up on one of the "Crow" species of butterflies - The Blue Branded King Crow (Euploea eunice leucogonis) recently. This medium-sized "Crow", listed as extant in Singapore in the Butterflies of the Malay Peninsula 4th Edition, has not been seen in Singapore since the 1990's. 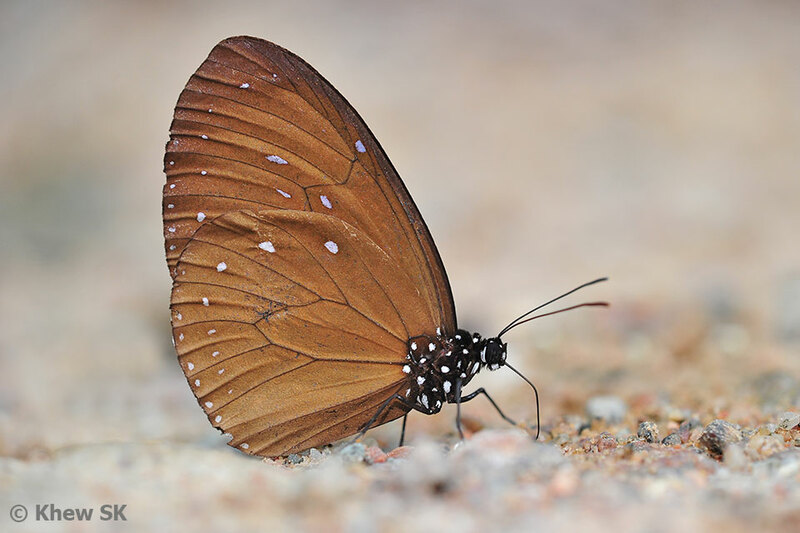 One of the observations made in C&P4 was "It is erratic in appearance; it may be abundant in a locality for a few months and then disappear completely for a year or two before reappearing and becoming as common as before." 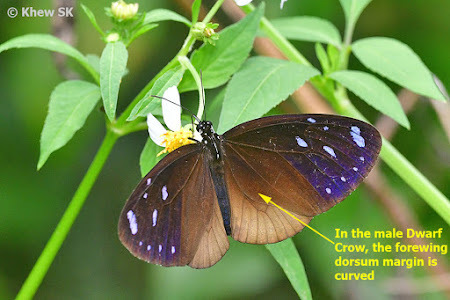 The closely-related Blue Branded King Crow - looks similar to the Dwarf Crow, but much larger in size. On the upperside forewing, there is a prominent blue "brand". 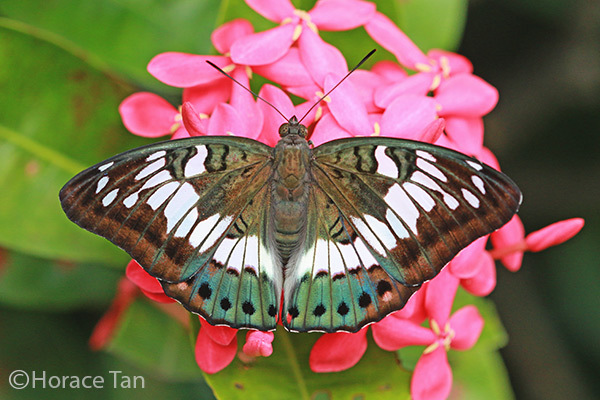 This species, although recorded as extant in Singapore, has not been seen on the island for over 40 years. 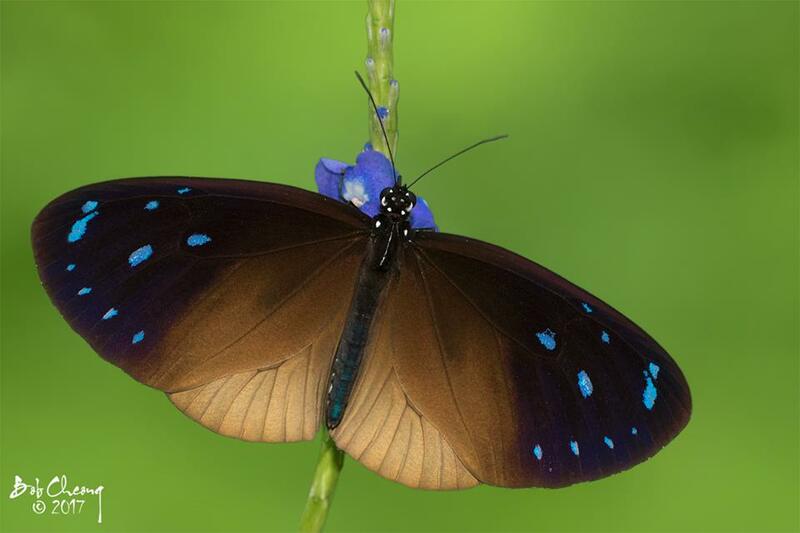 The Blue Branded King Crow is "suggestive of E. tulliolus, but is much larger." 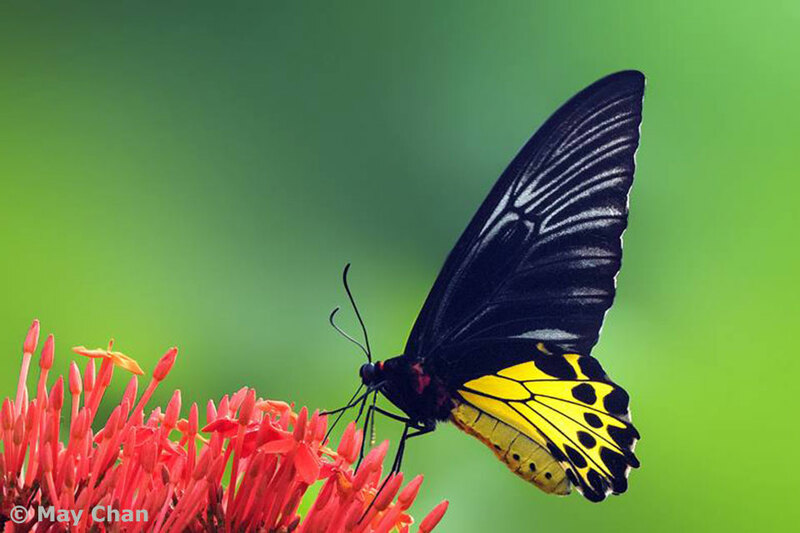 (C&P4 page 116). 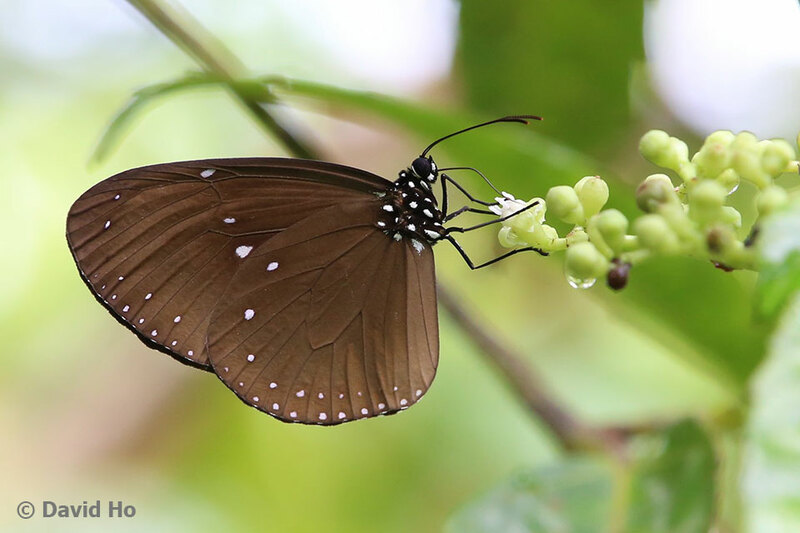 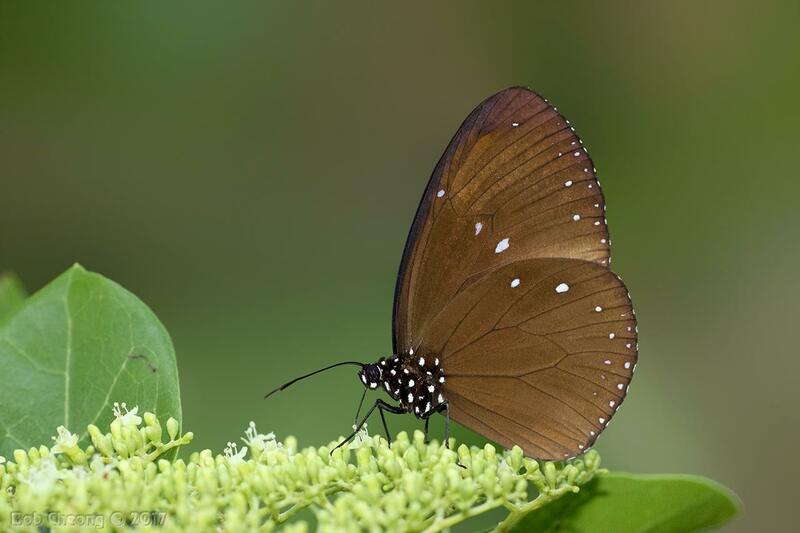 This related species, the Dwarf Crow (Euploea tullioulus ledereri) was re-discovered on the offshore island of Pulau Ubin back in 2002. 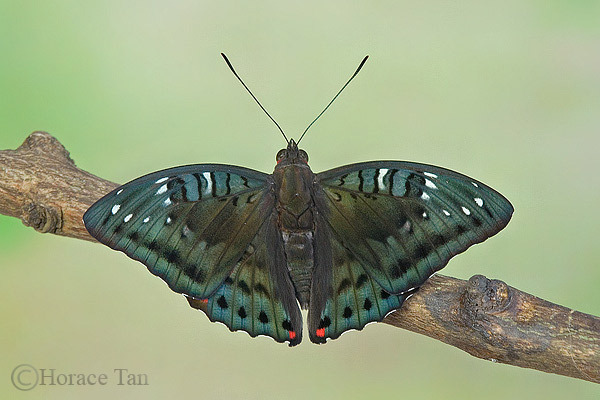 Similar in appearance to the Blue Branded King Crow, it appears to display the seasonality characteristics as observed in the book. The seasonal appearance and re-appearance (but not necessarily annually) of the Dwarf Crow on Pulau Ubin, where it is most regularly seen, is of noteworthy mention. 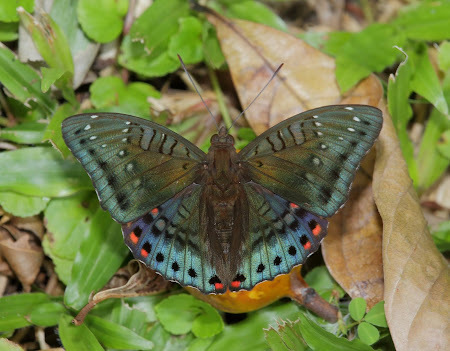 After it was first observed and recorded in the Singapore Checklist, its appearance on Pulau Ubin has been erratic. There were some years where the species completely disappeared from the island, only to re-appear many months later and become common again. Recently, in the later months of 2017 and in January and February 2018, the Dwarf Crow has become common again on Pulau Ubin, and particularly at the Butterfly Hill, where it is frequently spotted. 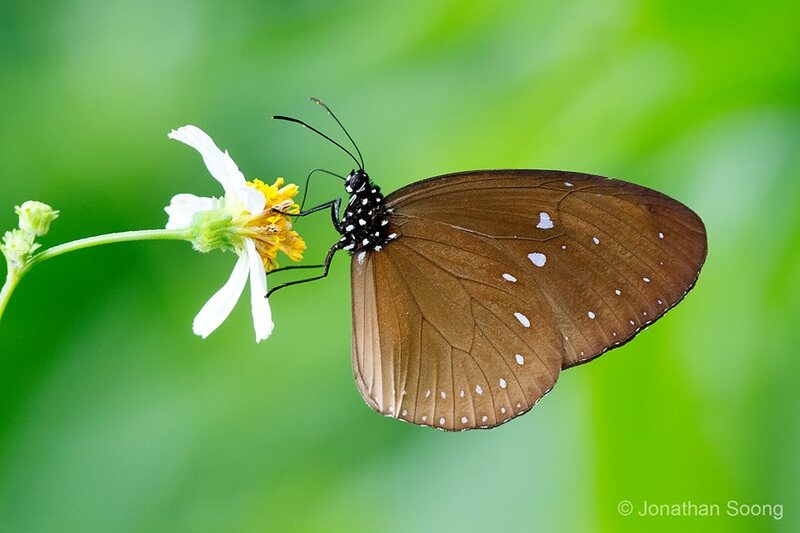 On one outing, I counted at least 6-8 individuals feeding at the flowering plants - particularly on the flowers of the Spanish Needle (Bidens alba). 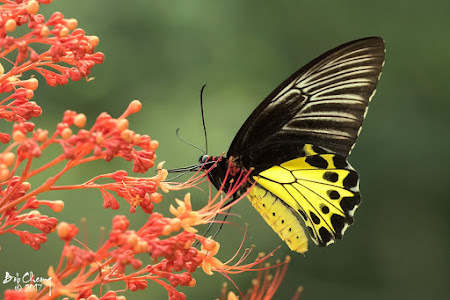 The species also feeds on several other nectaring plants and does not appear to be too fussy or have fixed preferences on where they get their nectar from. In the later hours of the day, after noon and having done all their feeding, they will take shelter in the shaded areas to rest. 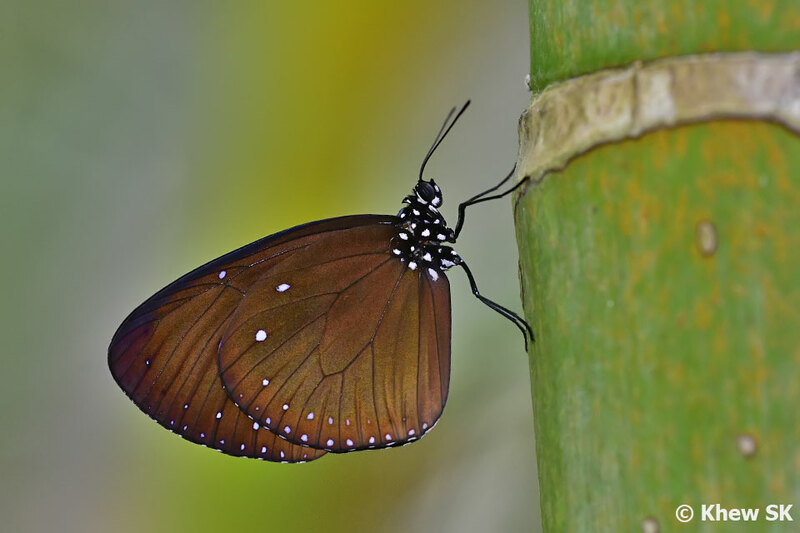 They will stay still on their perches, unless disturbed by movement, whereby they will take off and look for another perch to rest. This behaviour is quite typical of several Danainae species. 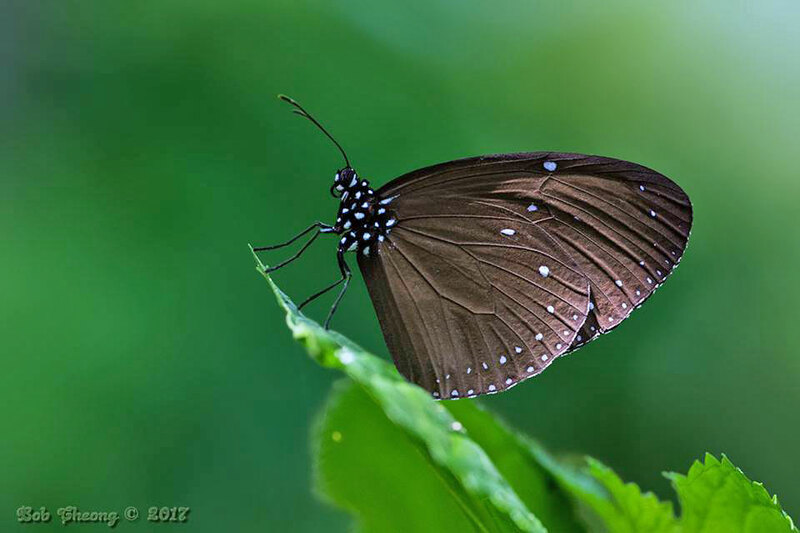 The Dwarf Crow is the smallest member of the genus Euploea. The wings are reddish-brown with the apical portion of the upperside of the forewing a deep blue. 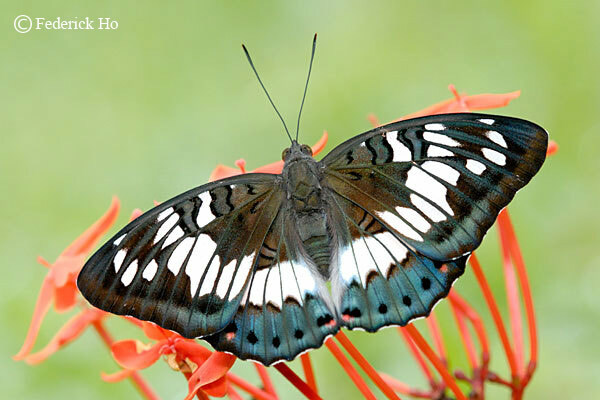 There are a number of bluish or whitish discal and sub-marginal spots on the forewing. The hindwing is unmarked in the male and the tornal area is lighter. 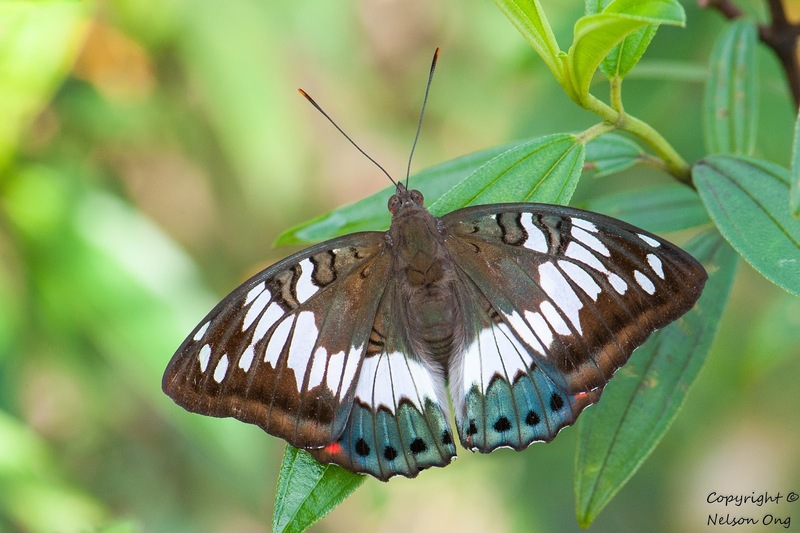 In the female, the hindwing has a series of submarginal diffused whitish spots. 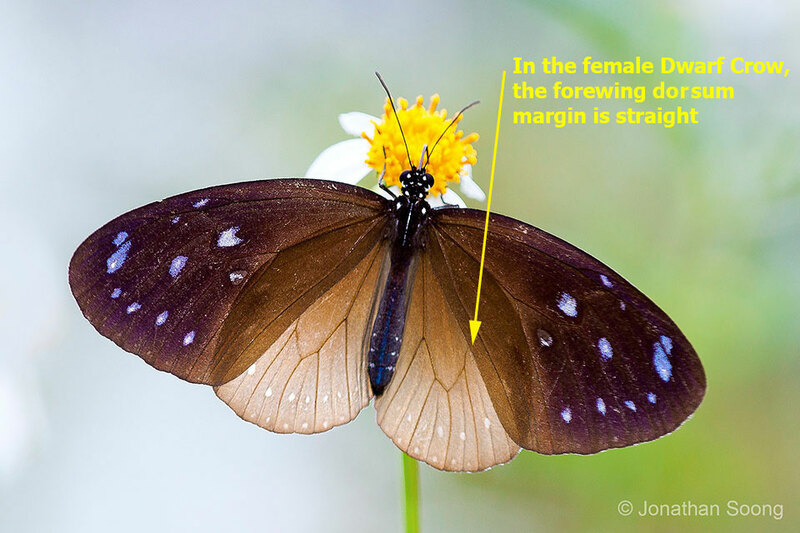 The dorsal margin of the male is bowed or curved whilst it is straight in the female. On the underside, both sexes are almost indistinguishable with the usual whitish marginal and submarginal spots on both wings. 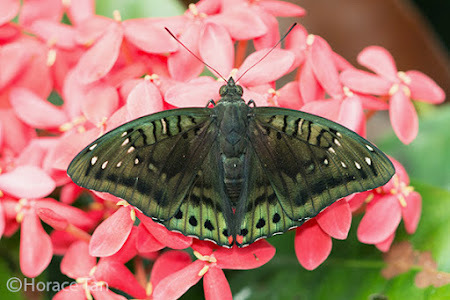 The underside of both wings is a dull matt brown. The Dwarf Crow flies in an unhurried manner, moving from flower to flower to feed. 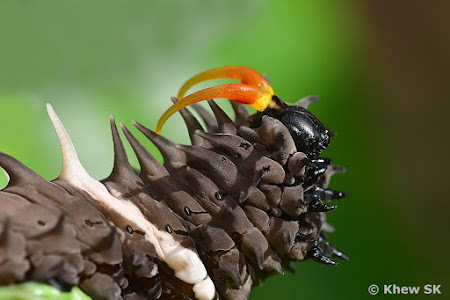 It then clutches on the flower head whilst its proboscis probes deep into the flower to gain access to the nectar within. Like all the related species in the Euploea genus, the Dwarf Crow is also believed to be distasteful to birds. Occasionally, the Dwarf Crow can be seen puddling at damp footpaths and muddy areas that have been tainted with animal urine or other minerals. It will come back to its favourite spot again and again even after being disturbed. 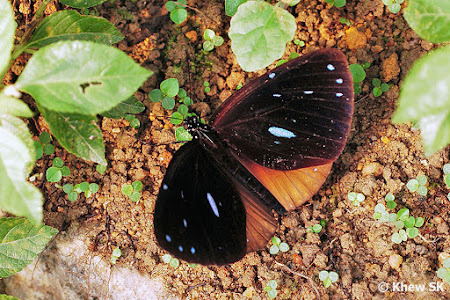 Like its close cousin, the Blue Banded King Crow, the erratic appearance of the Dwarf Crow is still a mystery. 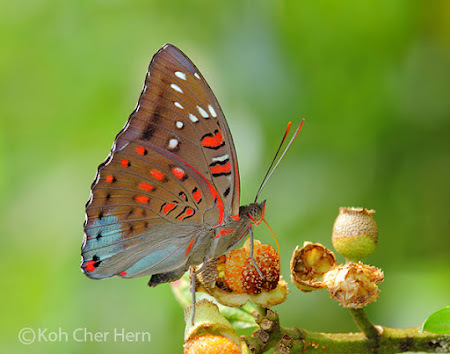 Where does the species disappear to, in the years when it is absent from Pulau Ubin? 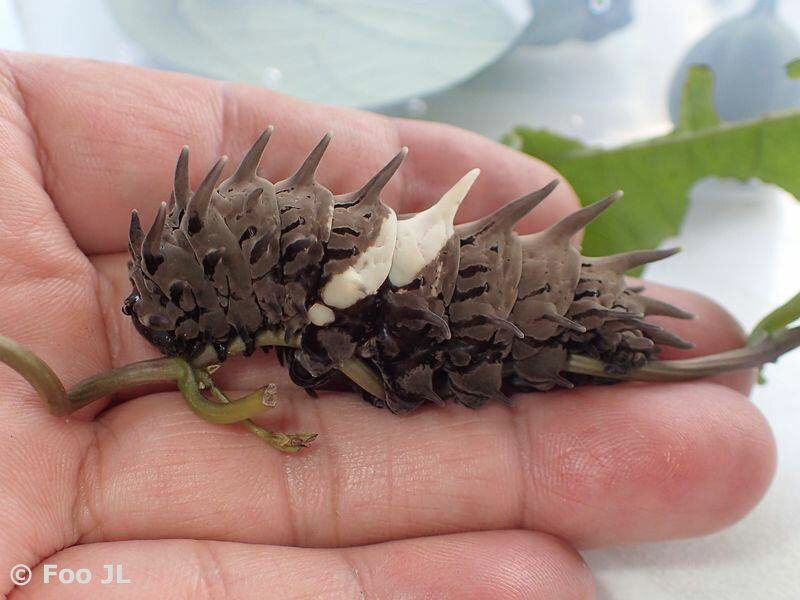 Does this have something to do with the abundance (or lack of) its caterpillar host plants? 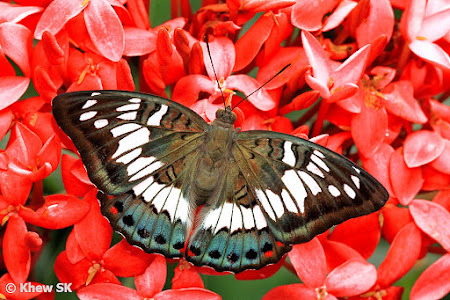 When it reappears, why does it become common again? What causes it to disappear again? 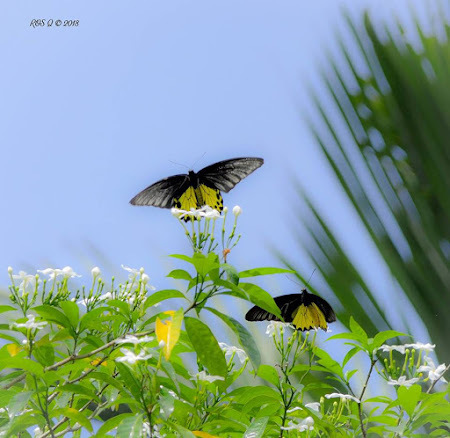 These are questions that have yet to be answered, as we continue to observe the behaviour of the Dwarf Crow. 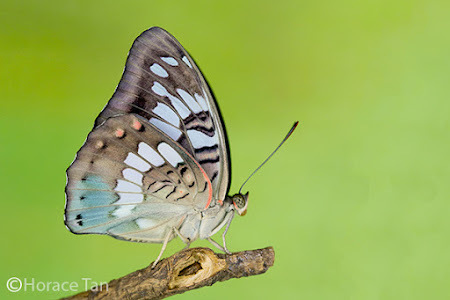 In the meantime, for the photographers who are keen to record this species for their digital collection, do visit Pulau Ubin to get your fill of the Dwarf Crow before it disappears again. 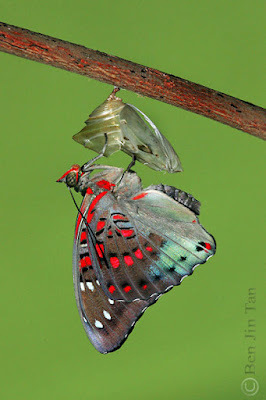 Who knows how many years will pass, before it re-appears and becomes common again? 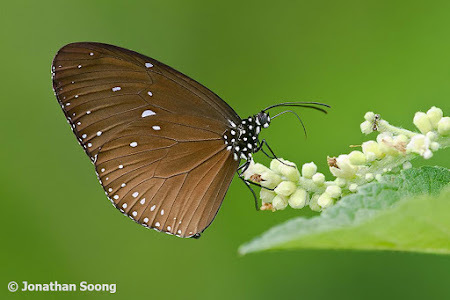 Text by Khew SK : Photos by Bob Cheong, David Ho, Khew SK, Loh MY and Jonathan Soong. The Common Birdwing is one of Singapore's largest butterfly species by wingspan. 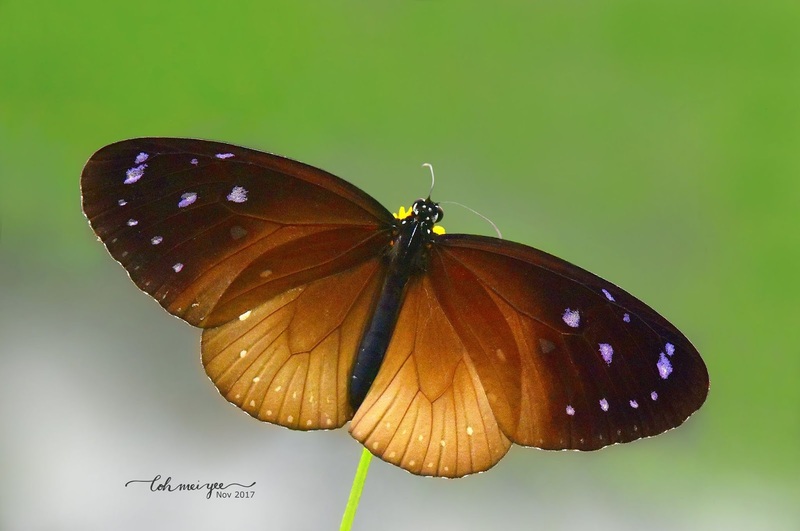 A large female of this species can have a wingspan measured from tip to tip up to 180mm. 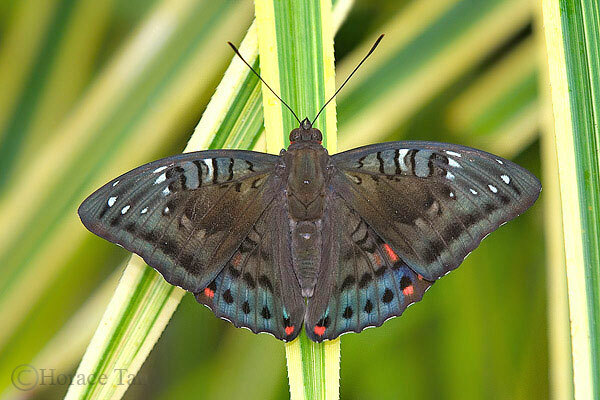 The species can be seen from time to time throughout the year, but is sometimes uncommon in certain months. 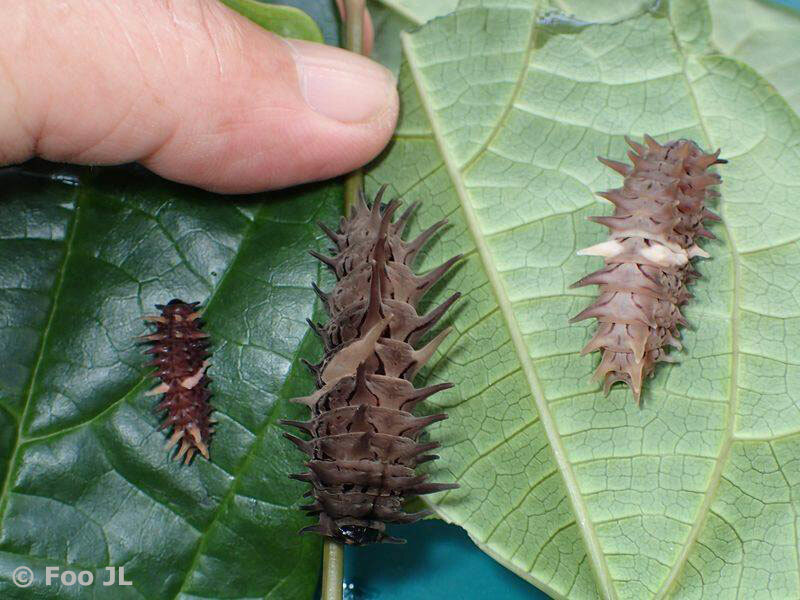 From records of sightings of this species over the years, it appears to be quite seasonal. 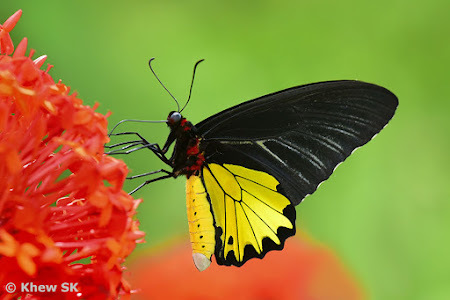 The Common Birdwing is more often spotted in the months of November to February each year. Towards the end of 2017 and over the first two months of 2018, the species has been spotted more often in urban parks and gardens and also at the fringes of our nature reserves. Where its caterpillar host plant, Aristolochia acuminata grows, observations of the species' caterpillars are more prevalent in these months of the year. 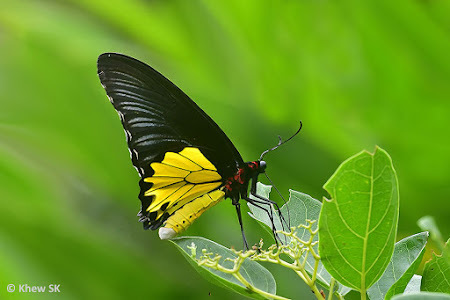 The Common Birdwing has rich golden yellow hindwings with black margins and black forewings, often with suffused white along the forewing veins. The female has a full range of large black submarginal spots which are not conjoined. 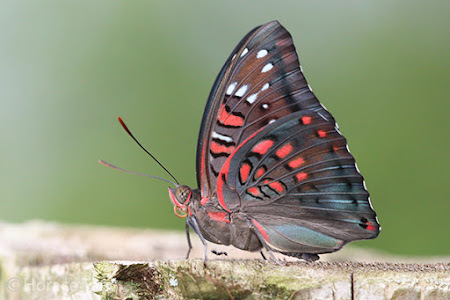 The male has only one or occasionally more submarginal spots - usually at the tornal area. 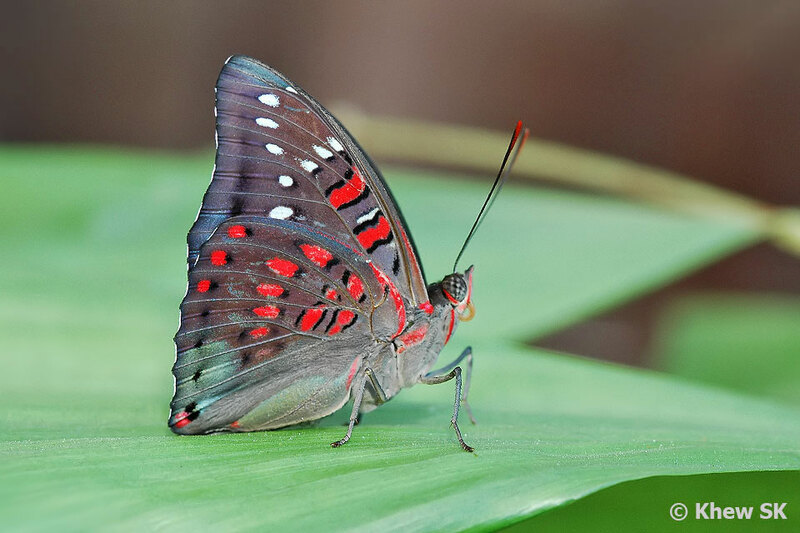 The thorax area is usually reddened from the base of the wings to the collar just behind the head of the butterfly. 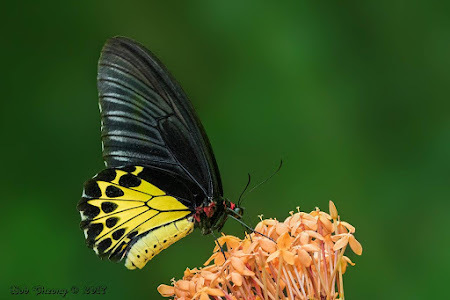 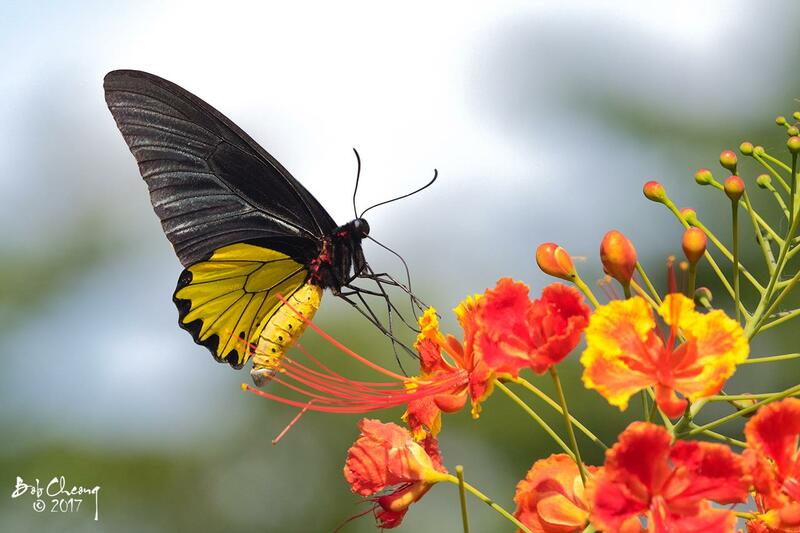 The Common Birdwing is a spectacular butterfly in flight. Its large size allows it to be spotted easily as it swoops overhead, almost bird-like. The butterfly is capable of flying long distances and at great heights. 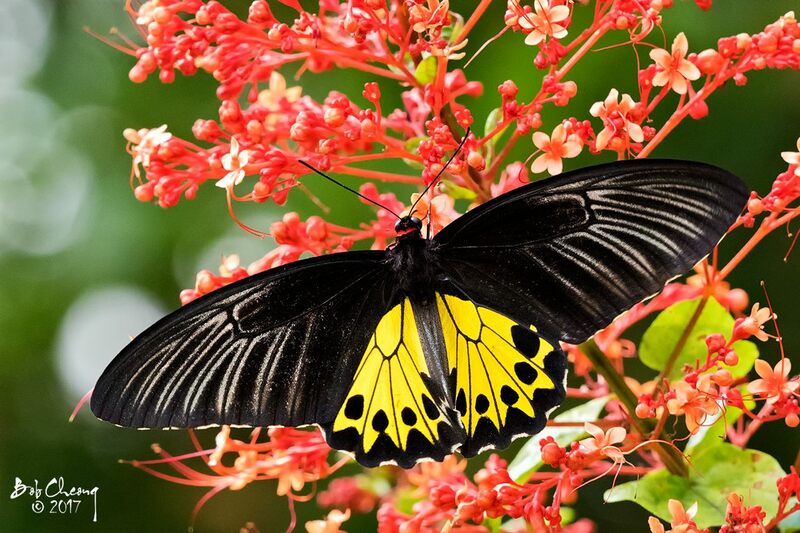 As it flutters and glides at tree top level, the Common Birdwing is a sight to behold. Males are usually smaller than the females. However, unlike the usual Papilionidae behaviour, the males are rarely seen to puddle at damp sandy spots along streambanks. 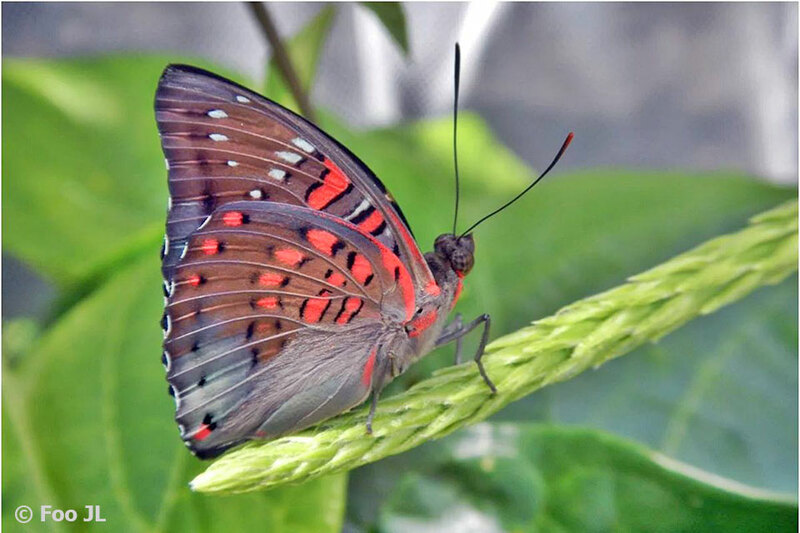 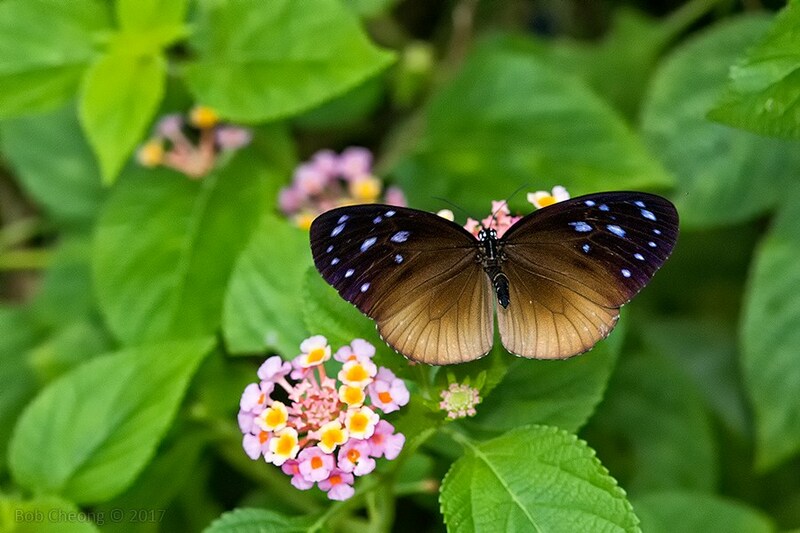 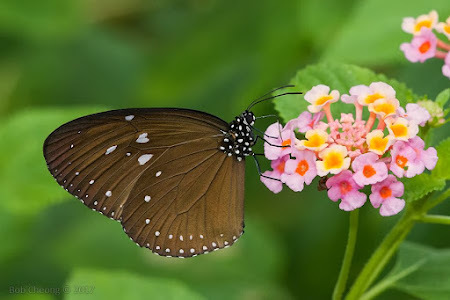 Both sexes are more often seen feeding at flowering plants like Ixora, Pagoda Flower, Hibiscus, Peacock Flower, Prickly Lantana and even Buas Buas (Premna serratifolia). In late 2017 and early 2018, sightings of the Common Birdwing became more and more frequent. The Common Birdwing was spotted in locations like Jurong Eco Green, Pulau Ubin, Singapore Botanic Gardens, Hort Park and Upper Seletar Reservoir Park. 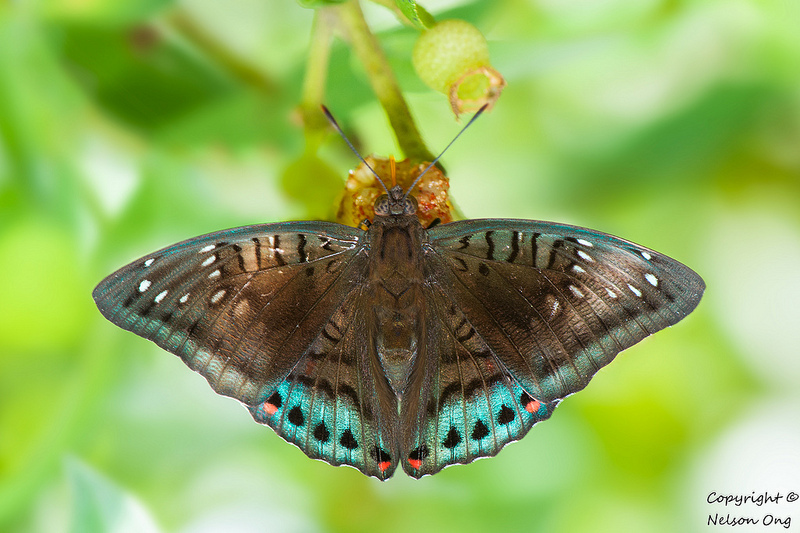 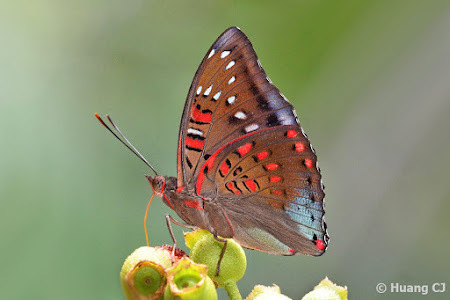 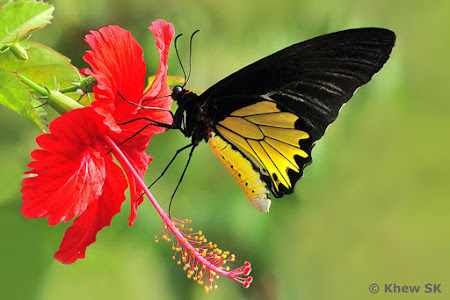 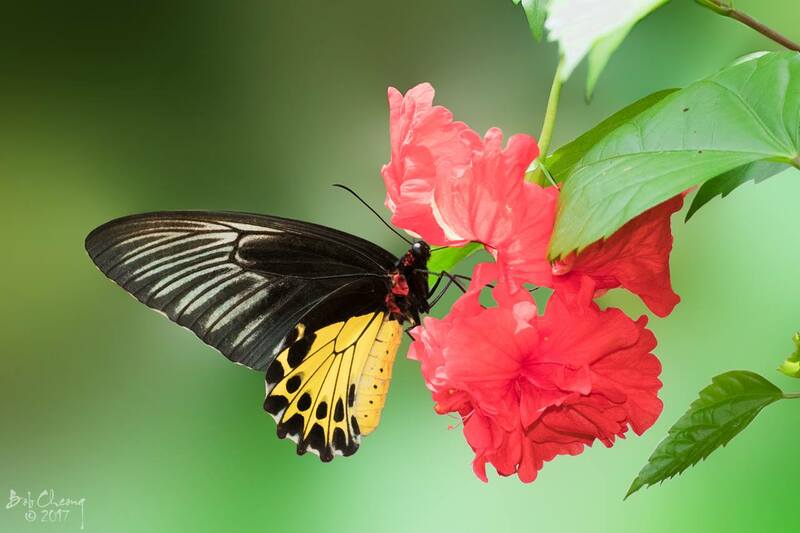 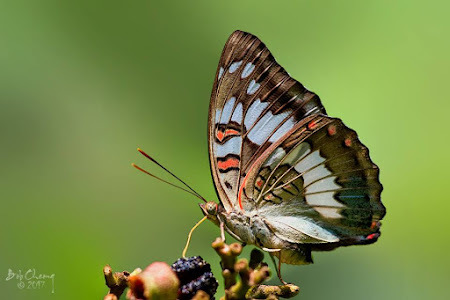 Invariably, all these locations where the butterfly was observed are usually where the Common Birdwing was feeding at flowering plants, or flying around looking for flowers to feed on. 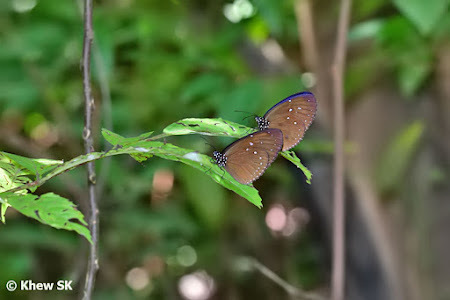 Both the males and females were equally common. Caterpillars of the species were found at various areas where the host plant was cultivated - Hort Park, Jurong Eco Green and Pulau Ubin. 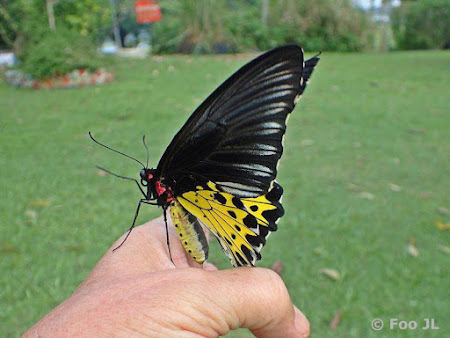 Over at Seletar Country Club's Butterfly Garden, where the host plant was cultivated some time ago in the hope of attracting the Common Birdwing and Common Rose, the caterpillars of the Common Birdwing suddenly appeared. 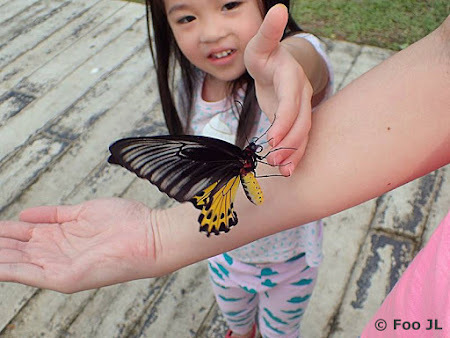 The caterpillars were reared until successful eclosion and the adult butterflies released in the hope that they will spawn the next generation of Common Birdwings at Seletar Country Club, or appear at nearby locations where the butterfly can sustain future generations. 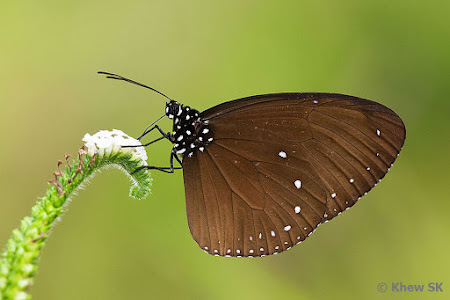 Sadly, the unsustainable feeding habit of the caterpillars of this species is such that they tend to kill off the Aristolochia vine unnecessarily, and in the process, deprive themselves of their critical food source. 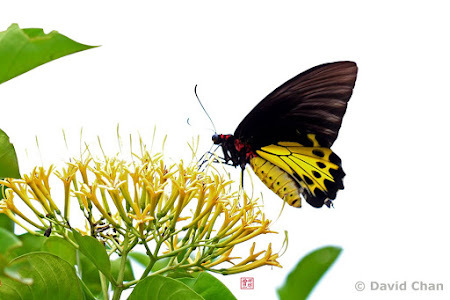 The Common Birdwing displays the usual Papilionidae flight characteristic when feeding at flowers. 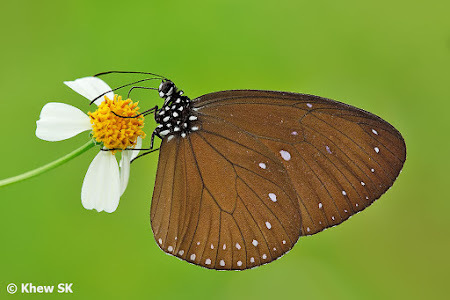 The hindwings are held relatively still to balance the butterfly, whilst its forewings flutter rapidly to keep it aloft. 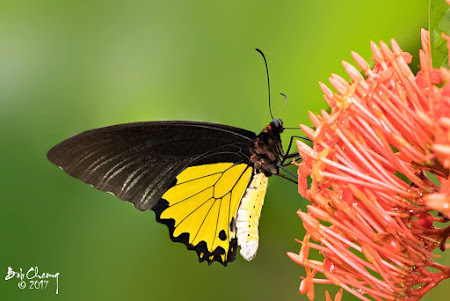 Like most species in the family, the Common Birdwing has six long and fully-developed legs which it extends and holds on to the perch or flower that it is feeding on. So whilst the Common Birdwing season is in full swing, do seek out the favourite locations where it is often seen and get your fill of the beauty of this butterfly before it becomes uncommon again!